Electro-Harmonix Nano Clone Chorus Guitar Effects Pedal The Electro-Harmonix Nano Clone Chorus Effect Pedal is everything you love about the Small Clone in an even more compact, die-cast package. This compact battery operated Chorus pedal features depth and rate controls, with an LED function indicator. 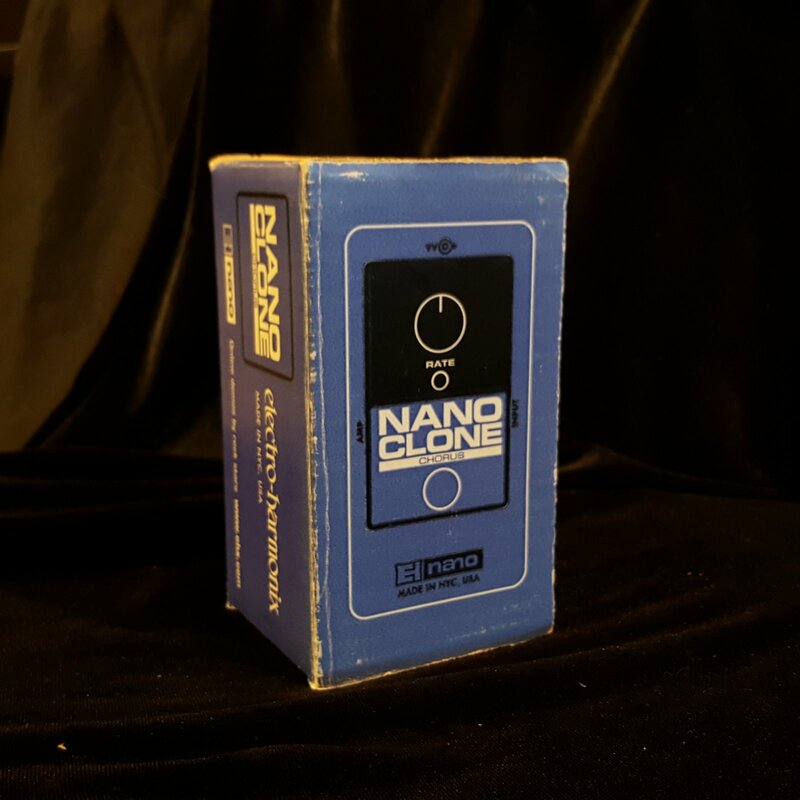 To produce the Chorus effect, the Nano Clone bends the frequency slightly from the input source and mixes this altered signal with some direct unaffected signal. The combination produces a doubling effect. The depth switch controls the amount of frequency change that occurs in the altered signal. The rate knob controls the rate of alteration between raising and lowering the frequency. The red LED indicates when the effect is switched on. The footswitch engages and disengages the Chorus effect.